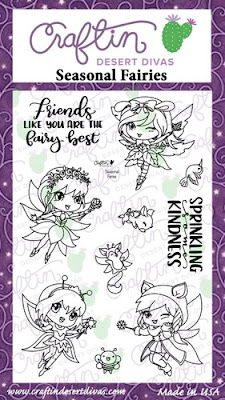 I used stampset with seasonal fairies and cute little critters. 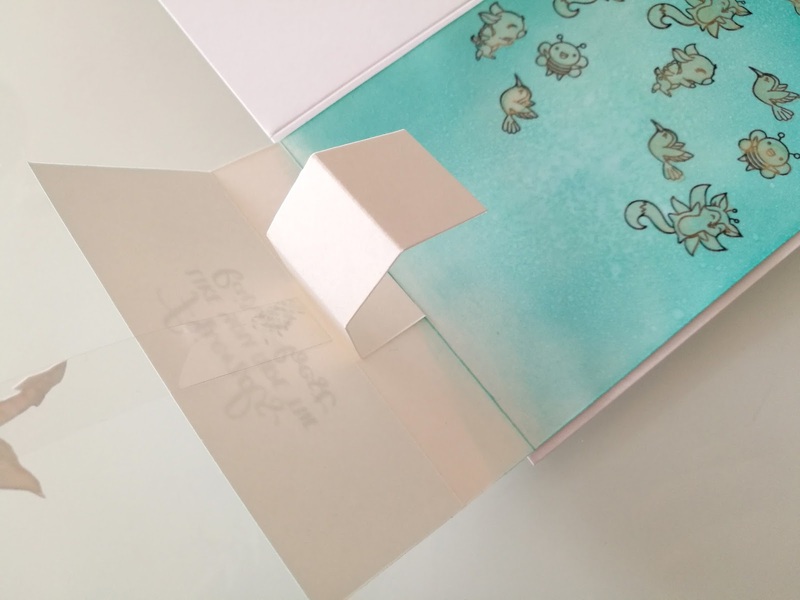 I wanted to make a little bit of dimension, so I cut longer front panel of the card and score it to offset part for the sentiment. 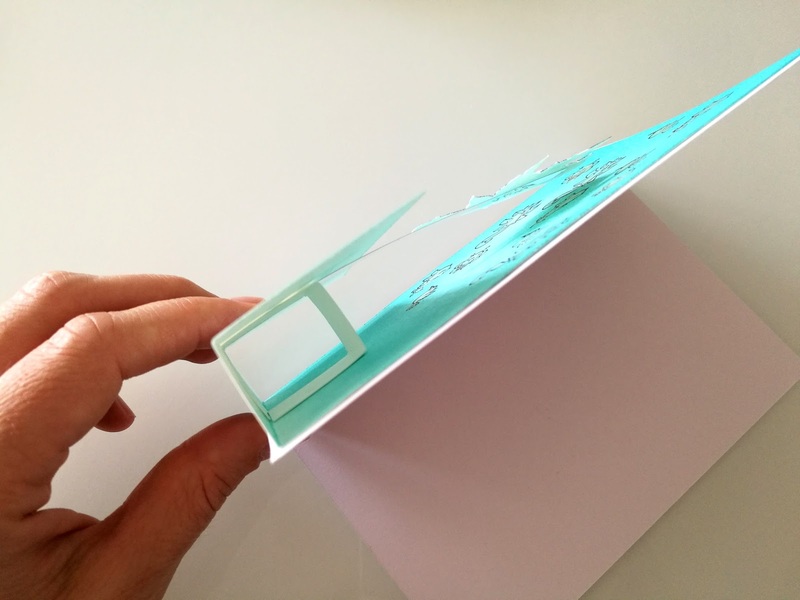 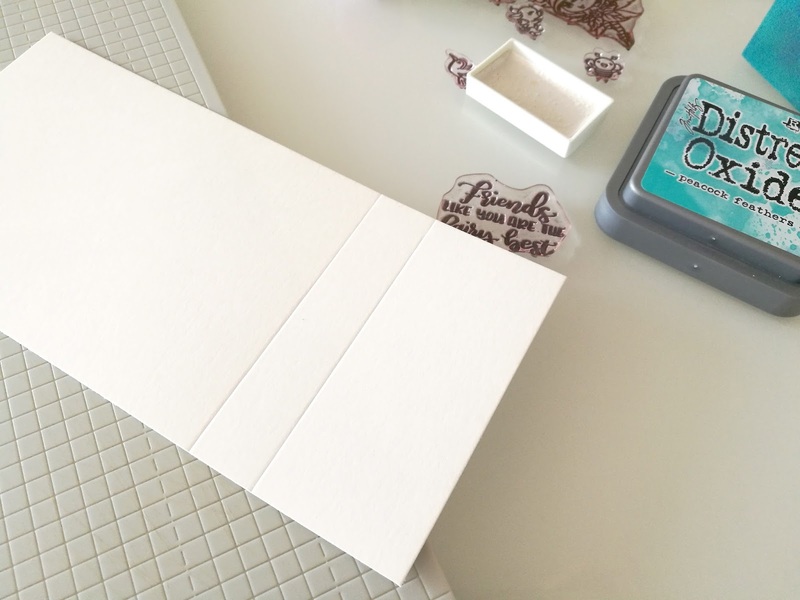 I prepared piece of paper and score it too, it will make kind of box and hold the offset part. 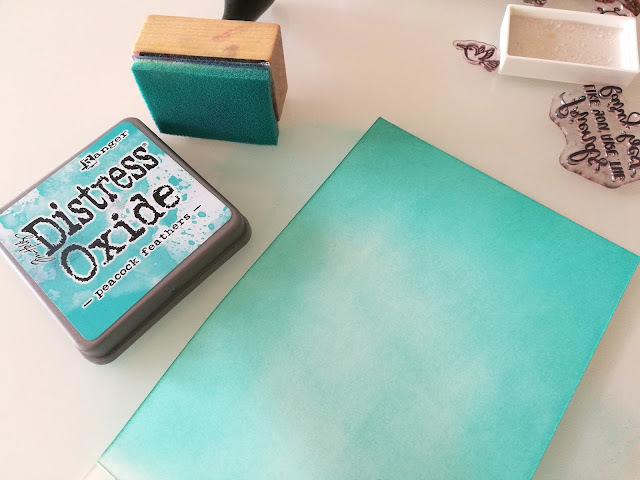 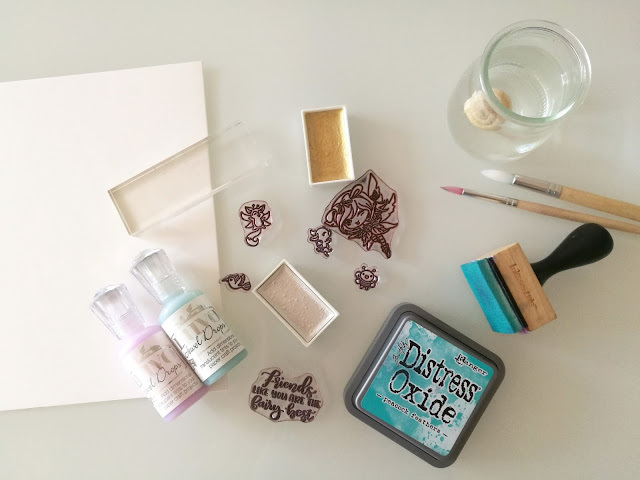 I blended Distress oxide ink to make teal background. 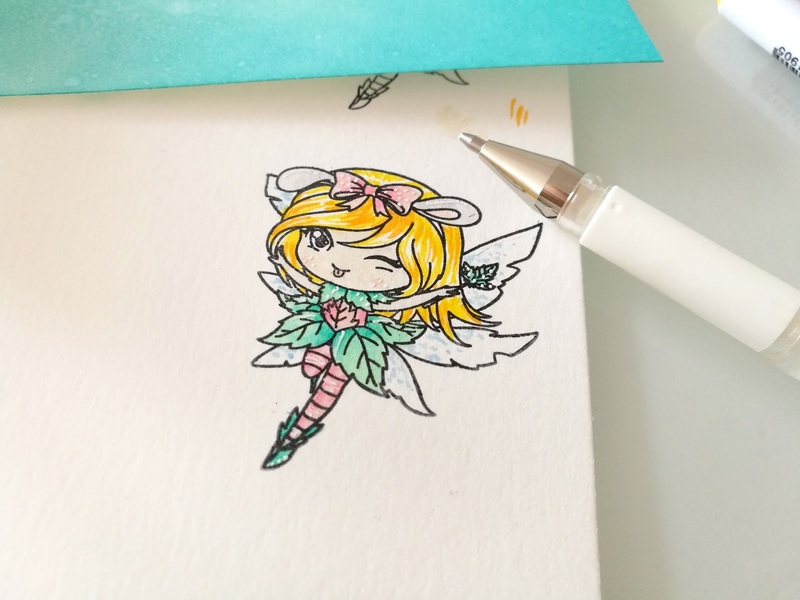 Ink should dry for a while, so I stamped image of the fairy and colored her with Zig cleancolor markers. 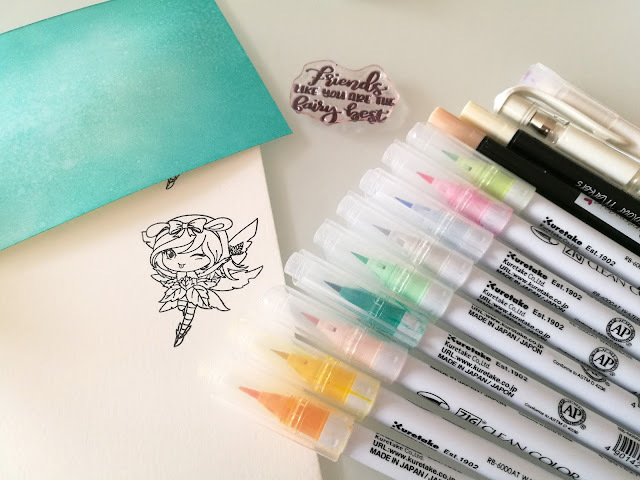 Don´t forget to use white gel pen to draw some details. It really makes a difference! 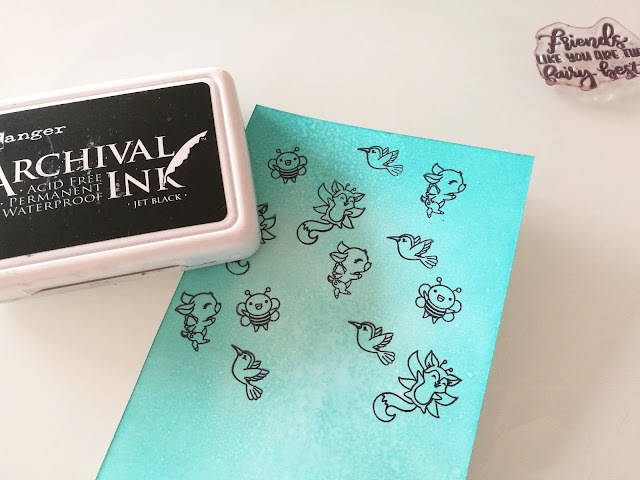 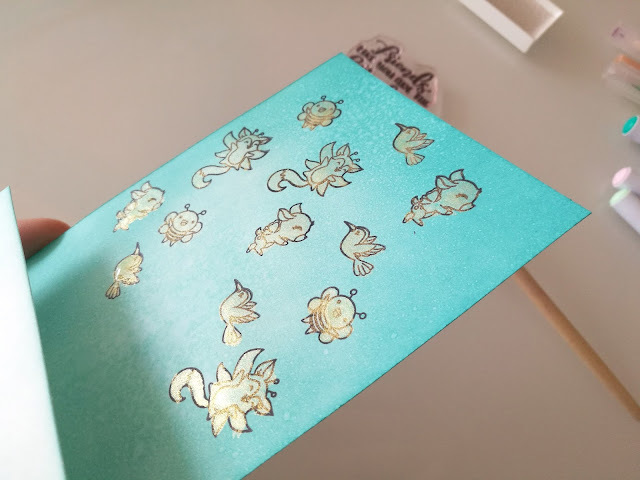 I stamped small critters on the teal background and colored them with gold watercolors to get them a bit of shimmer. 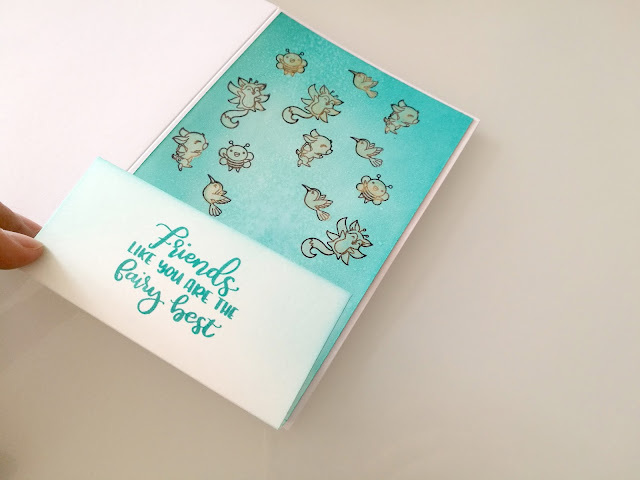 I stamped the sentiment and glued the background to the white card base. 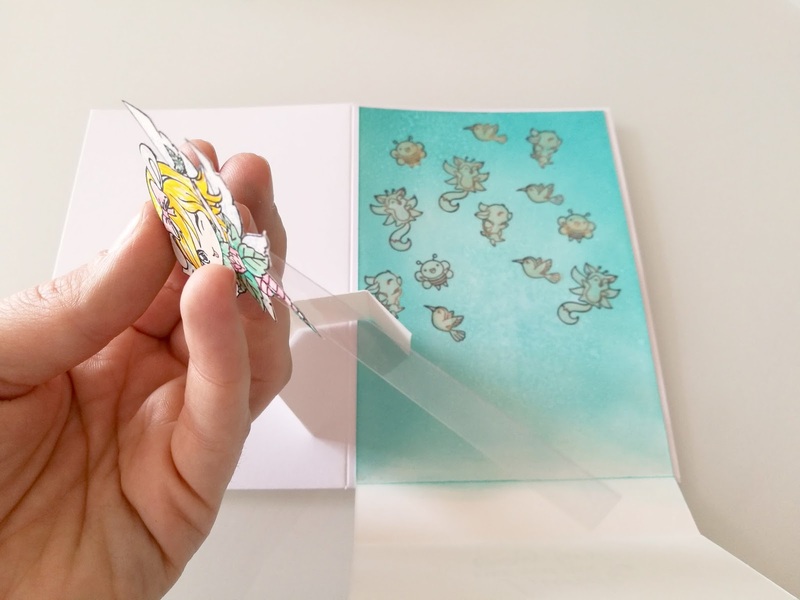 I wanted the little fairy to fly in the air, so I assembled her to the strip of the acetate foil. 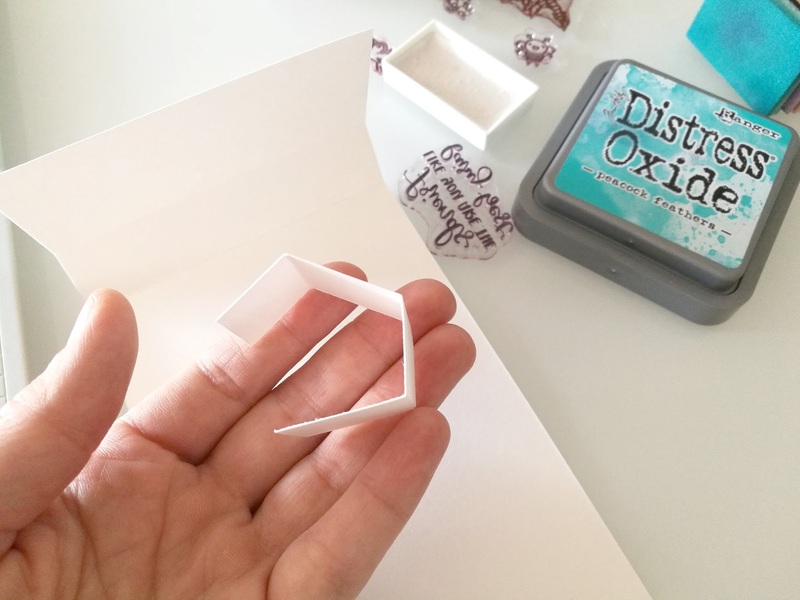 Then I glued the strip between small paper "box" and the part with stamped text. Super easy! 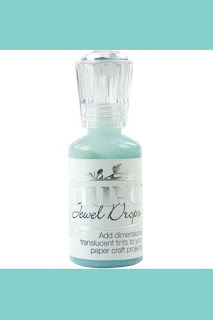 :) Add a little bit of Nuvo drops. 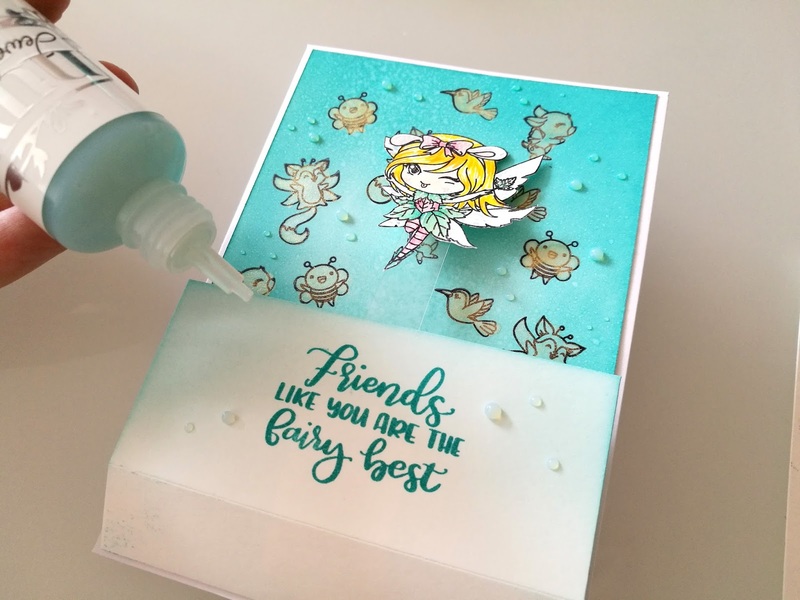 Each project looks much better with it! 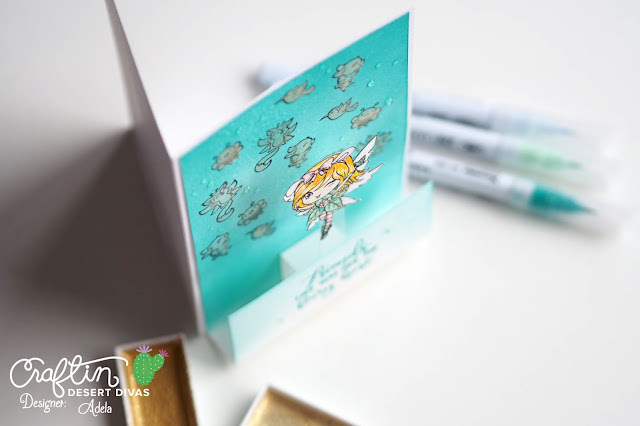 Don´t forget to show us your creativity in our Facebook gallery! Adorable card!! 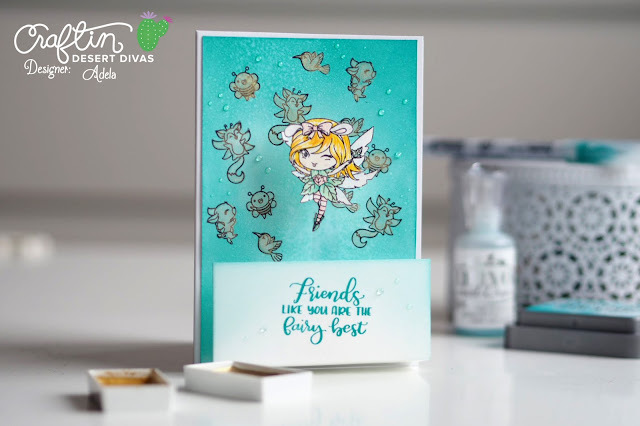 Love the critters on the background!